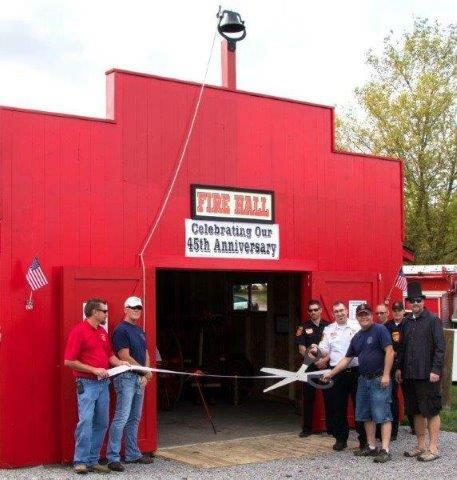 This early pioneer Fire Hall was made possible by the generous donations of $4000 each from both the South Haven and Annandale Fire Departments to pay for the construction materials. Tom Neu of Maple Lake Lumber provided all the lumber at a discounted price. I.P. Concrete deeply discounted the concrete work. The project was spearheaded by Jim Dearing, retired owner of Dearing Construction, and Tom Neu of Maple Lake Lumber. 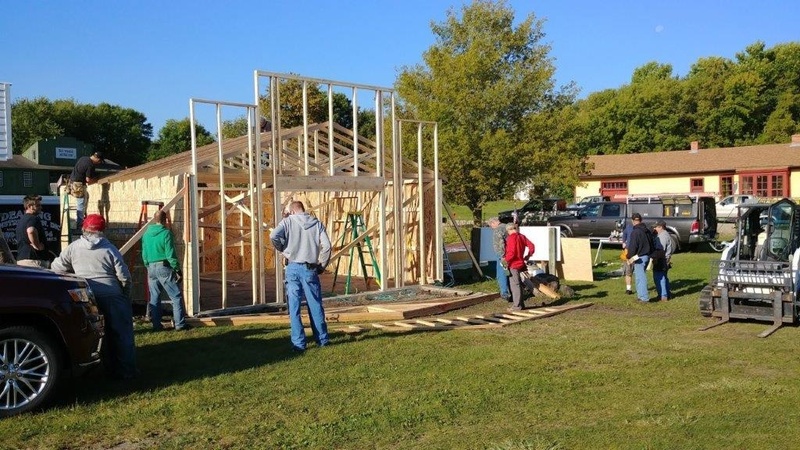 The goal was to construct this fire hall in one day using volunteer labor. The construction started at 7a.m. and a total of around 25 workers went into action. It reminded me of when early settlers would get together to raise a barn. By 3:30 everything was complete except for the front façade because they had run out of material for siding. Minnesota Pioneer Park is most grateful to everyone who made this fire hall a reality. 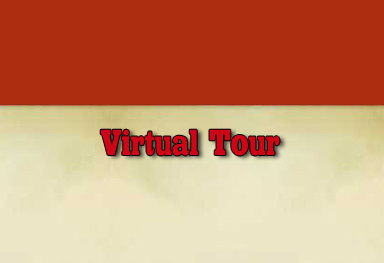 The majority of the workers had no connection with the Park, but their volunteerism and expertise would have cost upwards of $5,000 if we had to pay a contractor. This is an example of a caring community. We hope to make the community fire departments of South Haven, Annandale and Maple Lake proud of the artifacts on display as we recognize the firemen past and present in these communities.